Teresa Kay-Aba Kennedy, Ph.D., MBA, CHHC, RYT is uniquely qualified to help you reach your goals in wellness, work and life. She is founder of PWR CoachingTM and creator of the Purpose With ResultsTM process, helping you clarify your vision and giving you the tools to achieve results. 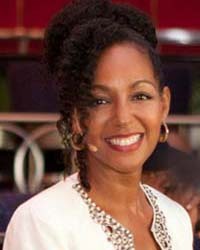 She has over 20 years of experience in business and 35 years experience with holistic living. In addition to world-class education from Harvard Business School, she has hands-on coach training from IPEC – the Institute for Professional Excellence in Coaching and the Institute for Integrative Nutrition. She is also a coach’s coach and has mentored new certified coaches and provided over 2,000 hours of coaching to individuals. She also learned directly from a master. Her father, Dr. James Scott Kennedy, was a pioneer in Executive Leadership Training (the pre-cursor to coaching) in the 1950s, training executives from IBM and other top companies. 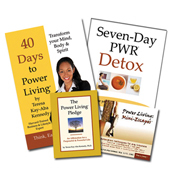 For more on Dr. Terri Kennedy, go to www.drterrikennedy.com. Read about our Coaching Services and Coaching FAQs. If you have questions, feel free to email coaching@power-living.com or call 212-901-6913. Get inspired and share your voice on our Power Living blog. Click box on right for full-screen. Copyright 2003 - 2014 Power Living Enterprises, Inc. * 116 West 23rd Street, Suite 500 New York, NY 10011 phone/fax: 212-901-6913 * Power Living is a registered trademark, and PWR, PWR Coach and PWR Coaching are trademarks, of Power Living Enterprises, Inc.